Wow! I did not know this much about the banjo. Now you have to come over….because my husband has one that he plays almost daily here. Except he only knows one song…so there’s that. Julia, that’s awesome!! As long as the one song is a good one… what is it? You know I think I might have been the only kid in the country who did not grow up on “Free to be you and me.” My misspent youth apparently started really, really early. Larks recently posted..A list of things I want Republican candidates to acknowledge. I so wanted to play the banjo when I was a little girl. I always think of that Steve Martin sketch too. I love that Michael Jackson clip. The music makes me think of 70s TV. Makes me get a little warm inside. Jamie@SouthMainMuse recently posted..“Your House Smells Like Poop” and other fond memories from today. Jamie, me too. It made me even more sad, though, when it dawned on me that it’s all about how “we don’t have to change at all” and how we like ourselves and each other just the way we are… and then poor Michael felt the need to change himself until he was unrecognizable as ever having been that kid. Still, he sure did a good job in this role. 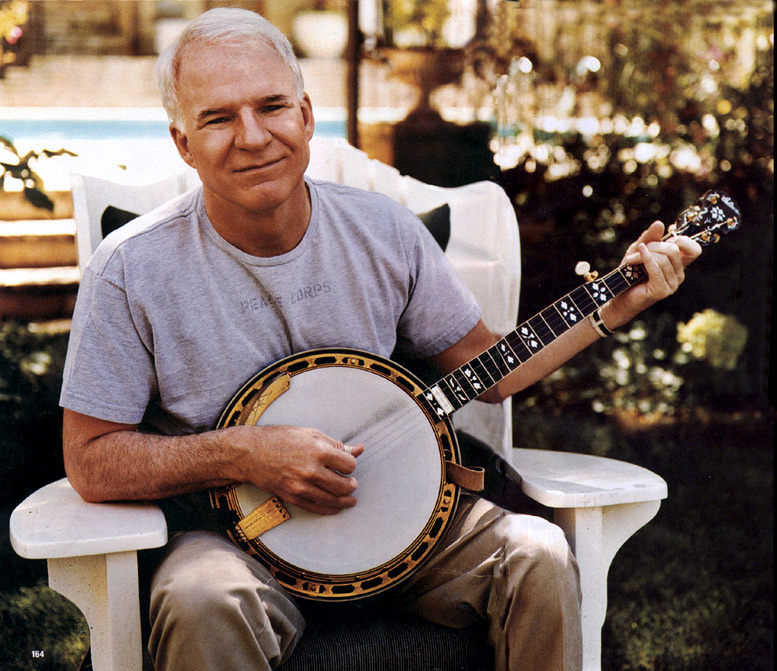 If you like Steve Martin on the Banjo check out a man that played with him, Pete Wernick. Now he plays with a band called Hot Rize, awesome band!!! Thanks for the recommendation, Tyler!